Proton pump inhibitors (PPIs) are a widely used treatment for acid reflux, with $14 billion in annual sales in the US alone. They include brand names such Nexium®, Prevacid® and Protonix®. 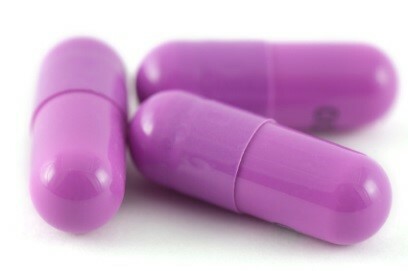 PPIs “work” by reducing the amount of stomach acid produced by glands in the lining of your stomach. Less acid in the stomach translates to less acid that can come rising up in your throat. Well, that may be a good theory, but shutting down one of your body’s innate functions isn’t always a smart thing to do and it doesn’t come without a price. Recent studies have shown that PPI users are also 20-50 percent more likely to develop chronic kidney disease (CKD). Although CKD can be treated with medications that can help decrease the rate at which the disease progresses, eventually the kidneys could stop working - resulting in kidney failure and either dialysis or a kidney transplant. As disturbing as this is, it’s no surprise. PPIs already have been shown to cause arterial damage. When they affect the arteries servicing the heart, you have an incereased risk of heart attack (like I mentioned above). Plus another contributing factor lies in the poor digestion precipitated by PPIs. When your digestion isn’t accomplished the way it’s supposed to be, that can lead to excess wastes and toxins building up in your system. Since your kidneys work with your liver to filter toxins out of your bloodstream and eliminate them, they get an additional workload the poorer your digestion is and the more toxic you are. If you suffer from acid reflux, instead of rolling the dice and waiting to see what side effects you’re going to suffer, doesn’t it make sense to help fix the underlying problem? Poor digestion and the resulting overproduction of acid! When you take measures to help your body accomplish digestion like it’s designed to, acid problems can quickly become a non-issue. Changing what goes in, yes, means changing your DIET. In other words, eliminating the junk, fast foods, processed foods and soda, and instead concentrating on real foods, plus structuring your meals so they’re easier for your system to tackle to begin with. Easy, logical and very effective. Let Great Taste No Pain show you exactly what to do. You’ll get meal guides, recipes and a wealth of information on all of the harmful effects of an unhealthy diet. Many of our clients report seeing improvements in their digestion in as fast as the first few days! See if that can include YOU. Helping what goes on means giving your body enzyme help if needed. Many people have gotten tremendous relief from digestive issues by simply giving their body a little boost with an enzyme formula like Digestizol Max. Digestizol Max works alongside your body’s own enyme resources to help make sure all of your foods are broken down like they need to be so your body can then use them for nourishment! When you work with your body to help it accomplish that which Nature intended it to—instead of suppressing one of your bodily functions—a whole new world of feeling better can open up for you fast. Our 48-hour Super Shield blowout continues! Get $10 off per bottle before it’s too late! what about tums or similar products??? We do not recommend the continued use of those products. Changing your diet and using supplements as recommended in the article is a better way to address the issue and to help prevent acid reflux. On doctors recommendations I took PPIs for 10 years and eventually developed chron's symptoms, (with inflammation of the colon twice confirmed via colonoscopy) and I developed vitamin B deficiency. I was given medication for chron's which I took for a year. I went on Great Taste no Pain diet, takes about 3 months to take affect I reckon. I began taking probiotics and digestives. I gradually quit all medication and within a month the acid reflux stopped and only rarely comes back with certain food combinations. That was a year ago and I am fine, no thanks to the medical profession. We appreciate your feedback and wish you continued health! I'm glad to read your comments. I am hoping to get off PPIs after many years. Tried once, but was unsuccessful. I was able to do it for a few months, but then the fear of having the reflux cause esophageal problems got the best of me. I will try again and be very strict with the GTNP diet. We highly recommend consulting your physician or pharmacist if you plan to stop taking your PPIs, as they will be able to advise you the safest way to do so. You certainly want to make sure that you are following the program as closely as possible to help maintain an alkaline pH and decrease your need for the medications. Can you provide a link to the "recent studies" that show a link to Kidney failure? Thanks. While we would love to honor requests for primary sources of Sherry's information used, we are not capable of doing so as the references are often extensively researched by our Research Department Staff through textbooks, internet studies, and the like. For additional information besides Sherry's newsletters, please feel free to consult up to date Holistic Medical Texts and reliable internet searches.